How much should I expect to pay in property taxes when I buy or sell a property in Thailand? And who is responsible for paying the taxes and transfer fees? Transfer Fee: 2% of the appraised value or registered sale price of the property (whichever is higher) for the house and the land. The transfer fees are generally shared 50-50 between the seller and buyer. Withholding Tax: 1% of the appraised value or registered sale price of the property (whichever is higher and if the seller is a company). If the seller is an individual, the withholding tax is calculated at a progressive rate based on the appraisal value or registered sale price of the property and how long the property has been owned by the individual. The withholding tax is traditionally the seller’s responsibility to pay, but this is open to negotiation, especially if a buyer makes an offer that is lower than the advertised sale price. Specific Business Tax or Special Business Tax: 3.3% of the appraised value or registered sale value of the property (whichever is higher). This tax is applicable to both companies and individuals, although an individual is exempt if he/she has owned the property consistently for more than 5 years. If a company is selling the property, the specific business tax will be applicable, regardless of how long the property has been owned. The specific business tax is traditionally the seller’s responsibility to pay, but this is open to negotiation, especially if a buyer makes an offer that is lower than the advertised sale price. Stamp Duty Tax: 0.5% of registered value. This is only payable if the specific business tax is exempt. The stamp duty tax is traditionally the seller’s responsibility to pay, but this is open to negotiation, especially if a buyer makes an offer that is lower than the advertised sale price. It is important to establish upfront how the taxes and transfer fees will be shared between the buyer and seller. This is normally specified in the terms and conditions when a purchase offer is initially presented. Traditionally, all taxes are the responsibility of the seller to pay, and traditionally, the transfer fees are shared 50-50. However, depending on the offer price and the negotiations between the seller and buyer, the allocation of the taxes and transfer fees can be shared however the parties wish to split them. Often, if a buyer presents an offer that is lower than the seller’s asking price, then the buyer will either offer to pay half of all taxes and transfer fees or the seller will stipulate that he/she will only accept the offer price on the condition that all taxes and transfer fees are shared equally. It is not standard, but sometimes the buyer will even pay all of the taxes and transfer fees. There are no hard and fast rules about who pays what and how much, and each sale has its own idiosyncrasies, so it’s best if all parties agree at the beginning of the negotiation process how these taxes and fees are paid. It’s also a good idea for both parties to be flexible in order to achieve a successful sale. 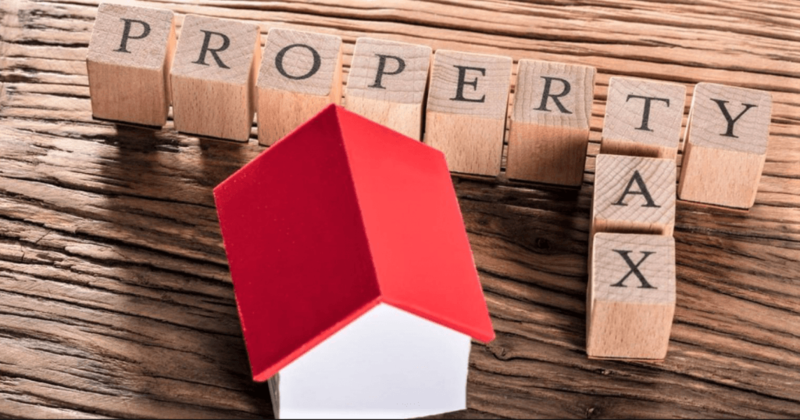 How do I find out what the appraised value of the house and land are? In order to calculate the estimated taxes and transfer fees, it is necessary to first know the appraised value and/or the last registered sale price of the house and land. If you have engaged a lawyer to assist with the sale process, your lawyer will check and confirm all expected taxes and transfer fees that will be due at the time of property transfer. If you like to do things yourself and/or don’t plan to hire a lawyer, you can find out this information on your own. If you have a copy of the Chanote (land title deed) and the blue book (the house registration book), you can go to the district land office where the Chanote is registered and the umphur office where the house is registered and request the estimated taxes and transfer fees yourself. It is helpful if you speak Thai or bring someone along who speaks Thai, as most employees at the government offices don’t speak much English. If you prefer to sleuth online, the appraised land values can be found at the land department’s official government website: http://rdsrv2.rd.go.th/landwht/landwht06_1.asp. The website has a database of all registered Chanotes, and by entering the Chanote number into the property jurisdiction, one can find out the appraised value of the land only. This website will not give you the last registered sale price of the land, nor the appraised value of the house. To find out the appraised value of the house, refer to the building permit, which was issued before the house was constructed. The size of the house in square meters will be listed on the building permit, and from here it is possible to calculate the appraised value of the house, which is calculated at a default rate of 7,000 THB/square meter. All taxes and transfer fees must be paid in cash at the time of the sale transfer at both the land office and the Umphur office. Therefore, it’s important to know what the total cost will be and to prepare the cash ahead of time before arriving at the respective government offices. What about registered lease contracts for the land? Foreigners in Thailand are allowed to own property, i.e. a house, condominium unit, or other structure, but they are not allowed to own land. One of the ways that Thailand allows foreigners to own property is to offer a 30 year lease on a plot of land guaranteed by the Thai government. When a Thai individual or company owns a piece of land and agrees to lease it to a foreigner, this lease contract will be registered on the back of the Chanote land title deed. If a foreign seller owns a house with a registered lease contract for the land, a buyer has several options with regard to purchasing the property and, specifically, the land. If the buyer is Thai or has a Thai spouse, then most likely the buyer will elect to transfer the land into the Thai individual’s name and own the house and land freehold. In this case, taxes and transfer fees for the land would apply, as the land is being transferred from one Thai to another (same applies for a registered Thai company). However, if the buyer is foreign, he/she can choose to either transfer the existing lease contract into his/her name or cancel the lease and register a new lease contract with the same land lessor (if the terms of the lease allow for this). In either case, taxes and transfer fees will not apply for the land, as it is technically not changing ownership. The land lessor remains the same and only the lessee changes, so there will only be a small administrative fee to register the new lessee or a small tax to cancel the existing lease and register a new land lease contract. Another item worth mentioning in the case of a registered lease agreement: any time a foreigner sells a property, a 30 day notice must be posted at the sheriff’s office before the property transfer can occur. This can sometimes pose an issue if the buyer and seller were not aware of the mandatory 30 day notice period and have a time constraint that prevents either party from waiting for the 30 days to pass. If a buyer engages a real estate agent to assist with purchasing a property, the agent should inform all parties of the step-by-step purchase process and the general timeline. This is helpful so that there are no surprises or unexpected delays. A real estate agent can also assist with calculating the estimated taxes and transfer fees for the property, but this information should be confirmed by the buyer or seller’s lawyer.